There is a ton of Tempurpedic mattress reviews out there comparing them with other brands and styles. A lot of heated discussion occurs. The majority of the reviews are positive, much more so than your usual bed on the market. It's generally regarded as one of, if not the best, memory foam mattresses available. In other words, they really do live up to the hype. There's no doubt that Tempurpedic revolutionized the mattress industry with the introduction of memory foam in the mid 90's. Although they don't even call their product memory foam but "Tempur Material" - saying that it's better than what passes for regular memory foam in the market today - it really was the first major advance in mattress construction since the innerspring assembly was invented 100 years ago. It is designed to allow your body to melt into the material, permitting your hips and shoulders to sink into the bed, while still supporting your legs and back. That way your spine straightens out and your muscles relax. Overall, it realigns your body, causing you to wake up more refreshed. It is also said to help with health problems such as back pain, pinched nerves and especially arthritis. Many health care professionals recommend Tempurpedic beds to their patients because people who suffer from pain and back problems may find profound relief with them. But since the average person spends around a third of their lives in bed, it's probably a good idea to do some really thorough research first. With all of the different options out there, it can be difficult to figure out where to spend your money. Tempurpedic is a very forward thinking company. Actually, I wouldn't mind owning stock in them if I could afford it. Swedish memory foam mattresses come in a variety of styles. The company has made many improvements over the last few years including the addition of a memory foam pillow top. It provides an extra layer of cushioning sewn into the top of the mattress itself. One by one, they have addressed every single problem or complaint that the public has voiced about their product. One of those complaints is that they're too expensive. 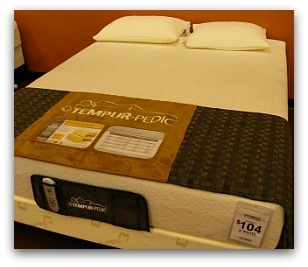 Tempurpedic offers four different categories of mattresses. Their Simplicity line is the most basic and also the newest version of the Swedish memory foam mattress, with prices starting at $700. These are meant for people who want the basic style of memory foam, and all it's highly touted benefits, without paying a lot. The main purpose of this line appears to be to directly address the complaint that they're too expensive. It takes advantage of their latest technology, the Tempur ES material, to offer three basic firmness levels: soft, medium, and firm. This material was originally developed in response to another of the main issues people had with memory foam: that it was too firm. People who are used to a conventional inner spring often find that it takes time to adjust to a Swedish memory foam mattress. Some find them hard and unyielding at first. This is because the Tempur-material is designed to stop motion transfer. On one hand, this is great if you get in and out of bed while your partner is sleeping, but it also takes a little getting used to. Obviously, it is not as springy or bouncy as you expect to find with traditional coiled springs . Tempur ES was first introduced in the Tempur Cloud line of products which are their softest mattresses, similar in feel to a plush traditional mattress. They come with varying size comfort layers for the different versions in the line. Prices range from $1200 - $4300. If you have previously found Tempurpedic beds too hard and prefer a nice soft surface that still provides good support then this is the one for you. It costs $3,699 for a queen but if you can afford it then it's going to be worth it because we tried one out in the store and it's incredibly comfortable. Plus the durability of a Tempurpedic is well known and it will probably last for a very long time - long enough to get your money's worth out of it unlike many other high priced beds. The High Density group contains the medium firmness beds. 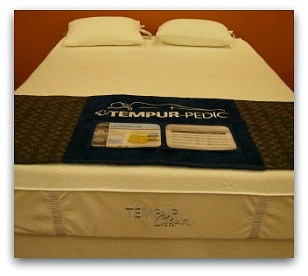 Tempur HD material was created in the search for an even higher quality and more durable memory foam. It has better pressure relief and a more pampering feel. While the original Tempur material has a density of 5 lbs per square foot, HD is closer to 8lbs. Soon after the company released this new product other memory foam manufacturers came out with their own 7 and 8 lb versions. There aren't very many companies that can produce memory foam of similar quality to Tempurpedic. However, the better independent foam companies have succeeded in showing that the denser the foam is, the more conforming it will be and the longer it will last. They can't copy Tempurpedic exactly but several have come quite close. These are the companies that supply memory foam to well known manufacturers such as Simmons and Serta. Of course, 8 lb memory foam costs much more to produce so you don't see it very often. 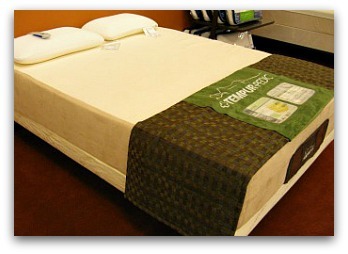 The more expensive versions of Tempurpedic's HD mattresses have covers made from bamboo or silk cloth. This is where you will find their top of the line - and most expensive - luxury models. Prices range from $2500 - $8500. Contour is the final category of Swedish memory foam mattresses offered by the company. Or, I guess you could say this is the first category since these are the closest in feel to the original firmer, temperature sensitive mattresses they started out with. This is their firmest lineup and the thicknesses and combinations of the various layers of foam make up the differences between these offerings. Prices range from $700 - $3300. Many Tempurpedic mattress reviews focus on the Cloud, Contour and High Density models. The Simplicity line is too new for people to have owned them long enough to write about them. General responses are highly favorable, with comments discussing good amounts of support and pain relief. The company's mattresses seem to be a little longer than other styles of beds. Multiple comments spoke about taller men being able to sleep without their feet dangling over the end. Other comments discussed the excellent motion isolation quality. For the Cloud model, people reported the sensation of sinking into the pillow top, but still being able to feel the support underneath. Many people enjoyed the amount of support that the Cloud line offered, and frequently commented on reduced pain levels. This line was specifically developed to please folks who wanted a softer memory foam surface, and it appears to have succeeded nicely. For the Contour line, many people reported enjoying the contouring properties of the comfort layer. Several people reported less back pain, and fewer general aches, with the Contour style beds. One of the most common reports was that the Contour line of Swedish memory foam mattresses provided just the right amount of support for couples. 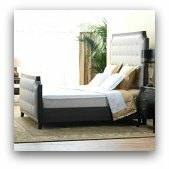 The Tempurpedic mattress reviews concerning the High Density products said that many people felt they lasted the longest of any other style of Tempurpedic beds. Several comments from long-time pain sufferers claimed that their pain levels were lowest when using the High Density style of the Swedish memory foam product. Negative comments in Tempurpedic mattress reviews seem to be few and far between. For a look at some of the other main concerns people have check out this article on Tempurpedic complaints. One of the most frequent problems is the chemical smell that sometimes emits from newly installed mattresses. This is frequently referred to as "off gassing" and is a common problem with polyurethane petroleum products in general, not just memory foam. Some people seem to be much more sensitive to the fumes than others. They reported being forced to open windows and run fans to dissipate the odor. Other people reported never smelling anything at all. This smell appears to be temporary, with many of the same users adding that it faded away completely within the first seven days. This has been a problem with memory foam since it was first introduced and the company seems to have made quite a bit of progress in addressing the issue. Off gassing has become more of a problem with the cheaper imitation memory foams than with Tempurpedic. Another common dislike were reports of sinking too far into the Swedish foam mattress. Those who reported this problem complained of feeling like the mattress was surrounding them like a marshmallow and that they were difficult to move around on and get off of. Several people claimed to have difficulty rolling over. Some with mobility problems reported being unable to get off of the bed without assistance. Many who complained of sinking also added comments about being too hot in their Tempurpedic mattress reviews. Sleeping hot seemed to be a common report of unhappy customers in Tempurpedic mattress reviews. The Rhapsody style in the High Density line-up seemed to have the most common heat complaints. Although there were heat-related comments on all versions of the Tempurpedic mattress reviews, the High Density line seemed to have the most frequent complaints with this issue. Sleeping hot has been the number one problem with memory foam since it was first introduced. For some reason the material isn't very breathable or porous and just absorbs body heat and retains it. This can cause folks to wake up all hot and sweaty and have to kick the covers off, especially in warmer climates. Many people who live in colder climates actually consider it a benefit. The company has addressed this problem in several ways. They've introduced an airflow base layer which sits underneath the support layer and the comfort layer. It has channels which allow air to move around beneath the memory foam and draw away heat. In addition, they've designed the covers to be cooler to sleep on and to wick away moisture caused by sweat. The covers are, of course, removable and washable. Another thing they've done is to try to develop memory foam that is designed especially not to retain heat. This is not easy because in order to make the foam more porous you have to make it less dense which decreases the weight and thus the durability and pressure relief qualities that the substance is known for. It's no surprise then that the Tempur HD line has the most complaints about heat. Their latest modifications to their foam have attempted to come to a compromise between heat retention, durability, and pressure relief. They seem to be making progress because their latest Tempur Cloud line has had less heat complaints. In fact, of the Tempurpedic mattress reviews we've seen, the Cloud style of bed seems to be the most highly recommended. Owners of the Cloud mattress seemed to report the least problems, combined with the most pain relief and overall satisfaction. The extra features available for the brand include fixed and adjustable foundations, bed frames, leg extenders, mattress protectors, remote controls and pillows. Many of the extra features seem useful. The replacement remote control seems to be worth the cost, as a misplaced remote can make an adjustable foundation useless. I can personally recommend the contoured Tempurpedic Pillows. I've had one for about ten years now, slept on it every night, and it's still as comfortable as the day I bought it. I sleep on my back a lot as well as my side and it holds your neck in the perfect position. I used to wake up with tense shoulders and neck cramps all the time but this pillow solved it. $100 for a pillow may seem like a lot but, so far, that's only about $10 a year. Back then, if you told me someone could manufacture a piece of foam that would last ten years without showing any signs of decay, I wouldn't have believed you. But now I've seen it with my own eyes. Those who feel that their Swedish memory foam mattress is too close to the floor frequently buy the leg extenders. Comments on Tempurpedic mattress reviews encourage buying these from an actual company store. These seem to be difficult to acquire outside of official stores. Some Tempurpedic mattress reviews comment on the usefulness of the mattress protectors. These appear to be waterproof, and easy to launder. Many comments on this item highly recommend it to other bed owners, since stains on the product will void your warranty. The company's foundation (box spring with no springs) is highly recommended because you must use it with your new purchase or you'll void your warranty. They do appear to be well built and solid with injection molded corners and nice upholstery. If you don't care about the warranty, you must place a memory foam mattress on a solid flat surface like a platform bed or the floor. Do not use your old boxspring as they are meant for innerspring mattresses and will not work with visco foam. The adjustable bed seems to be the category with the most controversy. The bed's foundations that move as a whole seem to be reasonably priced, while the units with individually moving halves experience quite a price jump. Several reviewers commented that they had opted for two twin-sized units with adjustable foundations, rather than the more expensive single unit with individual adjustable sides. In conclusion, We have no reservations in giving Tempurpedic our highest recommendation. They are Consumer reports best rated mattress brand. If that doesn't mean something to you then you haven't been paying attention. They have the highest customer satisfaction rate of any brand - period. The word of mouth on their products is so good that they probably don't even need to continue spending the millions they do on advertising every year. However, memory foam is not for everyone so if you're not sure, why not take take advantage of Relax The Back's 90 day comfort guarantee to try one out? Have You Owned A Tempurpedic? Would you recommend one to others? 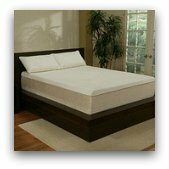 Share your Tempurpedic mattress reviews here!